Join us and some friends at Chesterfield Labour Club. A night of music, poetry and laughter. 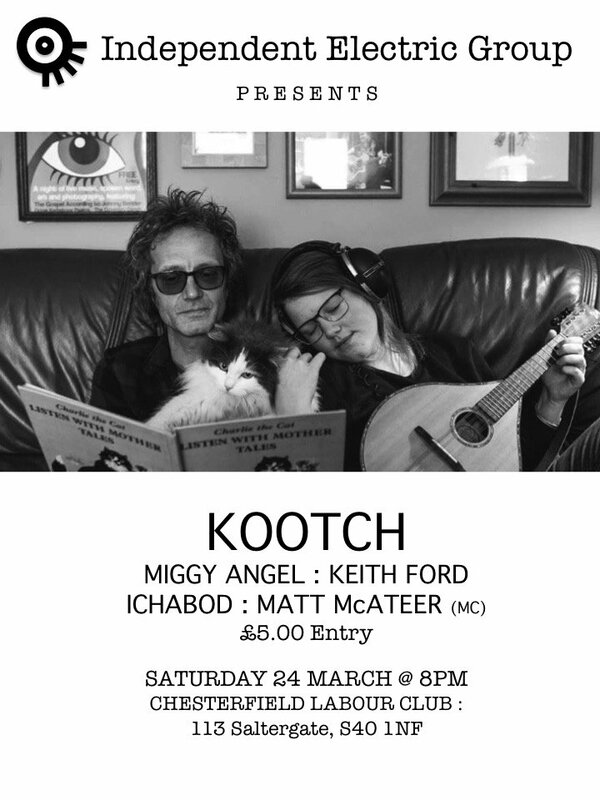 With Ichabod, Keith Ford, Miggy Angel, Matt McAteer and us, Kootch (in case you forgot).